about you make do™ You have stumbled upon a creative place for making and doing all things wonderful. Printables, projects, and delightful ideas. 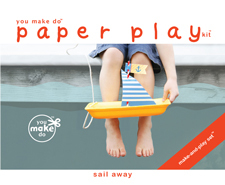 Share in the marvel of play with our growing treasury of paper play books. Cherish them all. 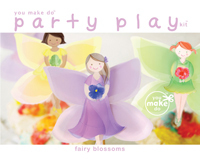 And, visit our you make do™ shop of handmade printables too. about the creator Mother of a few, creator, and project maker. New York Times best-selling children's book illustrator, Heather Cahoon. about our blog You will find new posts here on a whim, and on wordplayhouse® each Monday (where we have been sharing for some time; and where you'll find it full of inspiration). Scroll down and relish posted ideas you may have missed. Add us into your Monday schedule, or subscribe to remember us again. about your visit today We have just begun. You will find categories in the sidebar that are still empty, waiting to be filled, and showing you what will be. Join us each week as we begin to reveal the projects that will soon await behind each category link there—I'm filled with excitement to share. sharing is nice You are welcome to share what we share here, as long as you share nicely—with proper credits and links back to our site here. We have have put much thought and creative work into making special discoveries for you here. Those with Pinterest boards are welcome to pin and link back here to inspiration you discover. Thank you so very much for sharing. we are so happy you are here visiting you make do™. Leave a comment. Say hello. We cherish what you make and do too.